CHARLESTON, S.C. - Charleston Southern head women's soccer coach Eric Terrill announced his early signing class on Thursday night. Six players signed to enroll at CSU and join the Buccaneers roster for the 2019 season. Chloe Bailey, Hannah Steele, Jenna Moran, Lauren McDonald, Madison Fortner, and Zari Hayes comprise the early signing class for the Buccaneers. 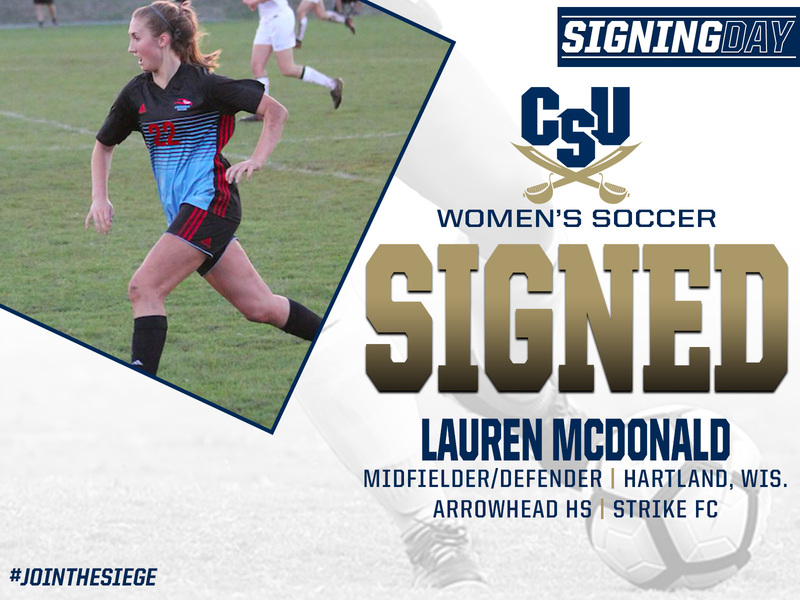 Terrill looks forward to what the class will add to the team dynamic as CSU comes off one of its most successful seasons in recent history as the Buccaneers earned the No. 5 seed in the Big South Championships and posted a 9-6-2 overall mark and 5-4-1 record in conference play. "With 10 players graduating, we have been recruiting the last two years to replace a very talented class," Terrill said. "This year is a position balanced class with some really talented players that we feel can make an impact right away." He continued, "The class is a good blend of size, speed, and athleticism. I'm excited about how they will mix with the young team that we already have here."